This year I went to Southern France for my holidays, including Avignon, famous for its song ‘Sur le Pont d’Avignon.’ I was there just at the end of its annual arts festival so it was buzzing with life, hosting some fantastic busking musicians who could keep you entertained for hours while licking ice cream. At least that’s what I did quite a lot of the time. It’s also famous as the site of exile from Rome of the Popes, from 1309 to 1376, and has a very impressive Palais des Papes, which was their residence and is now a major tourist attraction. As the audio guide to a visit explains, the palace demonstrated the secular as well as the spiritual (ideological) power of the papacy but the history untold is not one of the rise in the secular power of the papacy but of its decline from its zenith a century earlier. Boniface VIII, pope from 1294 to 1303, who liked to wear a crown, declared papal authority over the clergy and threatened France and England with excommunication. In 1300 he also pompously staged a Holy year, selling indulgences to finance his worldly domain. Overreaching himself however he planned the excommunication of the French king, who promptly arrested and imprisoned him in his castle in Anagni. Even though subsequently freed by the people of the town he was a broken man and died a few months later in Rome. The second next pope was enthroned in France and eventually establishing his seat of power in Avignon, the start of a series of French popes all largely dependent on the French monarch. It was in this period also that saw creation of the doctrine of papal infallibility, originally propagated by an eccentric Franciscan previously accused of heresy. Apparently this early claim was not taken particularly seriously and was eventually condemned as the work of the devil and the ‘father of all lies’, only to be resurrected later in the nineteenth century. For political reason the papacy moved back to Rome in 1377 but the next pope showed “such an excess of incompetence, megalomania and outright mental disturbance that there was reason for an automatic dismissal.” (Küng) So another pope, Clement VII was chosen except that the incompetent, megalomaniacal and mentally disturbed pope – Urban VI – didn’t accept this result and so they had a fight over it. 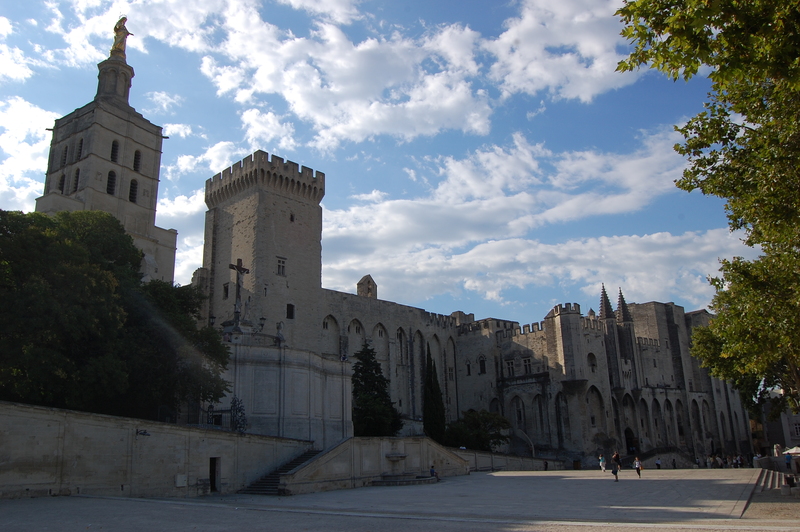 Upon defeat of his troops Clement VII took up residence in Avignon again. Now we had two popes who excommunicated each other. You can’t have too much of a good thing; so you had two colleges of cardinals, two Curias and two financial systems. Clement was supported by France, Aragon, Sardinia, Sicily, Naples and Scotland plus some Germans while Urban was supported by the German Empire, parts of Italy, Flanders, England and some others. In order to sort this mess out the cardinals met at a general council in Pisa in 1409, deposed the two popes and elected a new one. Except neither of the existing popes accepted this result either, so the Catholic Church now had three popes! You really can’t have too much of a good thing and we now had a new holy Trinity. Of course this couldn’t last and eventually the Church managed to get itself just the one pope. I’d forgotten all this history while doing the tour of the Palais and it would really make for a ripping yarn if it was included in the audio guide to the tour. But unfortunately some people don’t like the story history tells us. 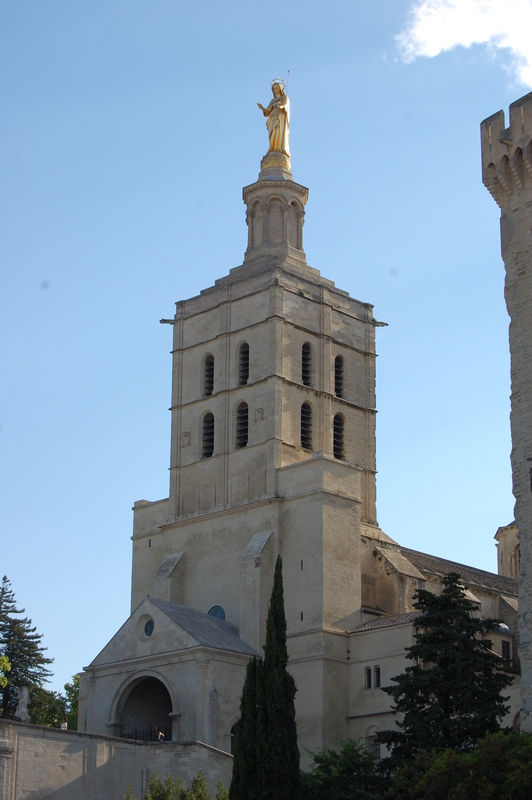 Another thing I didn’t know was that the area of Avignon continued to be owned and governed by the papacy until the French revolution, only joining the rest of France in 1791. In the meantime (the Michelin ‘Green’ Guide explains) Jews were confined to a ghetto, locked in at night, compelled to wear a yellow cap, pay dues to their Christian rulers and listen to sermons designed to convert them. The incorporation of Avignon into a unified French state reminded me of another book I had read some years ago, ‘The Discovery of France’ by Graham Robb. He noted that at the time of the revolution there were hundreds of small towns, suburbs and villages all more or less independent of any national state. 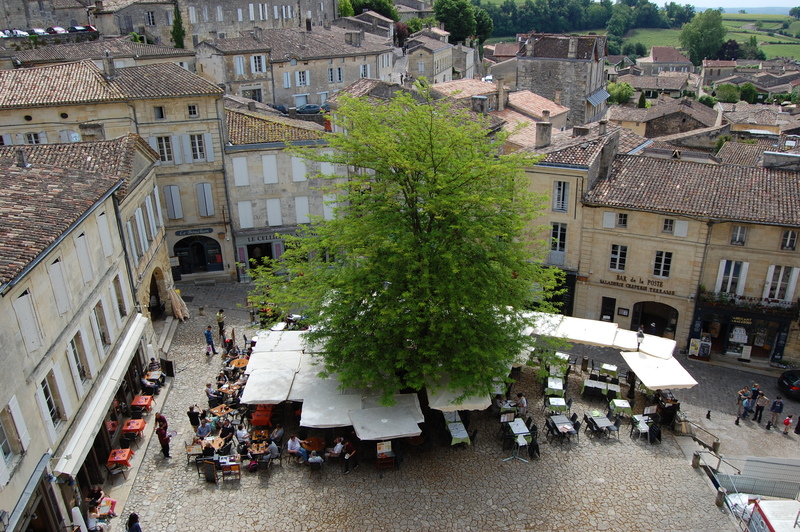 France was a name often reserved for the small ‘mushroom-shaped’ province centred on Paris. There was little common French national identity and no common language among ‘the French.’ As late as 1863 a quarter of recruits to the army spoke ‘patois,’ a ‘corrupt language’. French seemed to be declining in some areas so that children forgot it when they left school. Even half a century later some recruits to the French army in the First World War couldn’t speak French and there were reports of Breton soldiers being shot by their comrades because they were mistaken for Germans or because they failed to obey incomprehensible orders. Some of these towns and villages were “flourishing democracies” when France was an absolutist monarchy. In one village, Salency, the children were never sent away to become servants, all were considered equal, and everyone worked the land. The village was conspicuously clean and tidy, harvests were abundant and crime was unknown. Of course horizons were limited and no one was allowed to marry outside the village, which had only three surnames. So while the destruction of papal control over the mini-state of Avignon was obviously a progressive outcome of the French revolution the destruction of the much loved independence of many small communities by a remote, centralised state with its demands for standardisation, inevitable destruction of local customs (including language) and imposition of oppressive requirements, such as conscription into massive bloody wars, was not. But such is capitalist progress. Marxists understand its positive and negative aspects. In fact understand that capitalist progress is a function of the contradictions and antagonisms within society that does not allow for real separation of good and bad. Should it be rejected by seeking to go back to the past? Obviously we can’t now go back to isolated village communities with no private property in the means of production in France or anywhere else but that is not how the question is posed today. 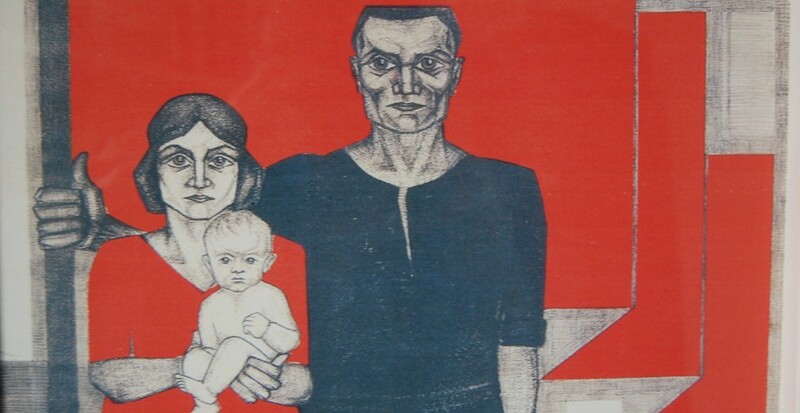 Today it is posed in terms of rejecting capitalist progress at the international level, also characterised by standardisation, centralisation and lack of democracy in favour of a return to more local, nation-state democratic forms. Unfortunately much of the Left today is no longer confident about the future so seeks solace in the past. But as we see, this past in the form of nation states was built upon its own brutality and disregard for peoples’ choices. But just as the development of the nation state also heralded undoubted progress for humanity so also does the internationalisation of capitalism promise the grounds for a new and better society, a socialist one. This is the ground upon which we must fight and seek to build an alternative.